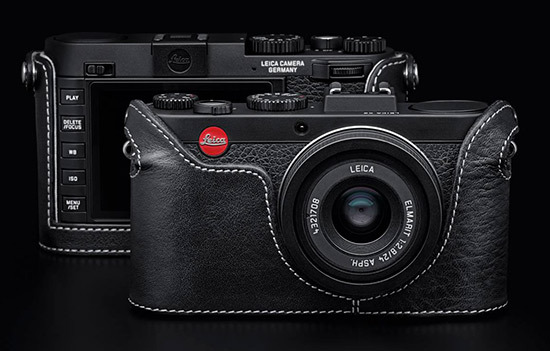 Is the Leica X Vario the official successor of the Leica X2? No. Due to its very different possibilities in the photographic use the X Vario is the perfect addition for the X2. Both cameras will be offered in parallel in the market. Do the X2 and the X Vario use the same accessories? The X2, as well as, the new X Vario offer a great range of technical and non-technical accessories. Due to the different shape of the bodies; the cases, the protectors and the handgrips are made to individually fit the different camera models. The electronic viewfinder EVF2, the Leica flash, the wrist straps, as well as, the neck straps can be used with both cameras. Does the introduction of the X Vario have an influence on the M production? The production of the X cameras takes place in a complete different production line and has no influence on the production output of M cameras. What factors affected the decision to use the focal length of 28-70 and the f-stop range of 3.5-6.4? The doctrine for developing the X Vario was - as for Leica cameras in general – to realize the best possible image performance in a comparatively small housing. From an engineering point of view a lens is always the interplay between performance, focal length, aperture and mechanical size. With 28-70mm the focal length covers the most popular and most used by our customers. The aperture has a huge influence on the size of a lens. The X Vario lens is designed to deliver the best image quality at any aperture and any focal length – so to achieve that and without getting a bulky lens, we decided to compromise in the best possible way and restricted the aperture range from 3.5-6.4. In comparison to comparable lenses of other systems the Vario lens is actually a relatively small lens. 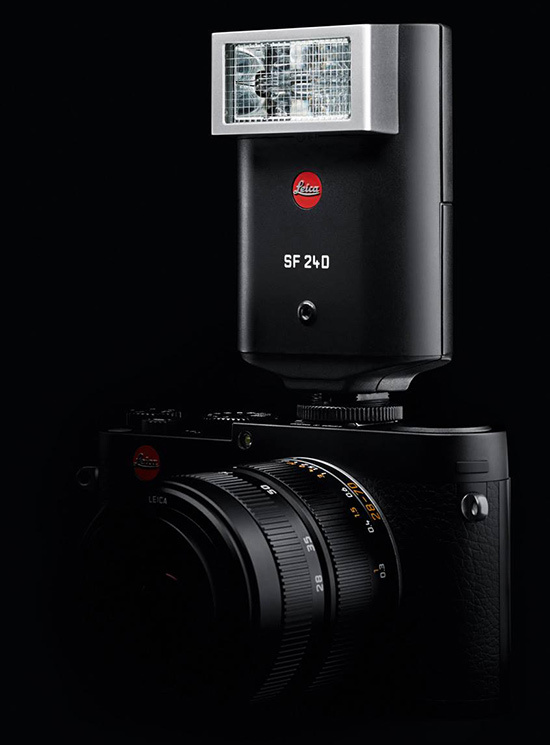 Furthermore, the combination of the APS sized sensor with the Vario lens still offers the customer an enormous play with depth and field, as our dear customers expect from their Leica. The AF lens of the X Vario is actually a unique synthesis between tradition, most modern optical design and precision mechanics. What is the reason for the noise of the lens in AF mode? The lens of the X Vario offers a great image performance. In order to gain that optical – without software compensation – superior glass and special single lenses had to be used. The inertia of these larger and heavier material leads to a slightly noisier sound while moving the AF lens groups. Do the Leica X2 and the Leica X Vario use the same image sensor? Yes. The image sensor of the X Vario and the X2 is indeed the same one. The X Vario uses a new generation image processor – which improved and changed mainly the general processing speed and makes the video shoot capability possible. Why is the body of the X Vario bigger than the one of the X2? The X Vario has a very harmonic design. The body lens balance is very well proportioned. The integration of a high-resolution 3” display was very important to us. The Vario lens itself has a wider diameter than the prime lens of the X1/2. Both of these technical innovations had an obvious influence on the width and height of the camera. What materials are used for the X Vario? The X Vario consists of high-grade magnesium and aluminum. The top cover of the X Vario is milled out of a slid block of aluminum and is produced in the same production technique as the Leica M top covers. 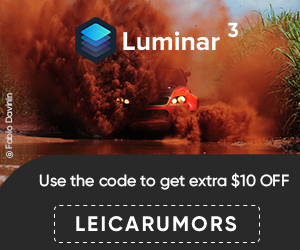 Are the X lenses – X2 and X Vario - true Leica designs? Yes, the LEICA ELMARIT 24 mm f/2.8 and the Leica Vario Elmar 18 - 46 mm f/3.5 - 6.4 ASPH are real Leica lens that have been developed by our optics engineering and design team following the high Leica image performance and quality standards. 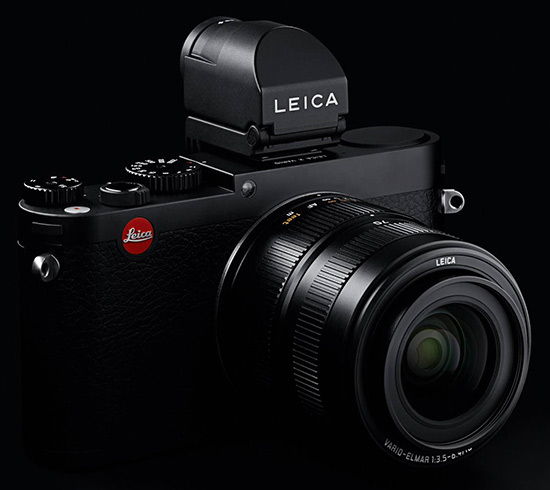 The LEICA X2 lens even gained a reference status in the compact class. Due to its absolutely professional-level imaging quality, leading stock image agencies (Getty, Magnum, etc.) have now approved the X2. Are the X-Cameras really “Made in Germany”? Yes, the Leica X cameras are manufactured in Germany. Of course, there are a few components, like the sensor, the monitor, and other electronic parts, that can’t be sourced from German manufacturers, therefore; we have to buy them on the global market. Will there be an a la carte program for the X Vario? The a la carte program for the X2 is very popular and successful. After an adequate introduction phase the a la carte options will be available. For some technical details there are different data stated. Which are correct? The circular letter and the first print of instructions manuals contained some mistakes; this will be corrected with the first reprint. Please refer to the following technical data as the correct ones. Especially take notice of the changed info for the weight and the internal memory. Sensor CMOS sensor, size APS-C (23.6 x 15.7mm) with 16.5/16.2 million pixels (total/effective), format aspect ratio 3:2. Resolution Selectable for JPEG format: 16M - 4928 x 3274 pixels, 12.2M - 4288 x 2856 pixels, 7M - 3264 x 2160 pixels, 3M - 2144 x 1424 pixels, 1.8M - 1632 x 1080 pixels, DNG: 4944 x 3274 pixels. Video resolution/frame rate Selectable 1920 x 1080p, 30B/s oder 1280 x 720p, 30B/s. Lens Leica Vario-Elmar 18-46mm f/3.5-6.4 ASPH. (corresponds to 28-70mm in 35mm format), 9 lenses in 8 groups, 2 aspherical lenses. Aperture range From 3.5 to 16 (at 28mm) / 6.4 to 16 (at 70mm) in 1/3EV increments. Image data file formats / Compression rates JPG Superfine, JPG Fine, DNG + JPG S. Fine, DNG + JPG Fine. White balance Automatic, presets for daylight, cloud, halogen lighting, shade, electronic flash, 2 manual settings, manual color temperature setting, fine adjustment option for all settings. Autofocus metering methods 1-field, 11-field, spot, face detection. Exposure modes Automatic program , aperture priority , shutter speed priority and manual setting. Exposure metering Multi-field, center-weighted, spot. Exposure compensation ±3EV in 1/3EV increments. Automatic bracketing 3 pictures in graduations up to 3 EV, adjustable in 1/3 EV increments. Shutter speed range 30s to 1/2000s. Continuous picture series 3 fps or 5 fps, max. 7 pictures with constant frequency in DNG + JPG Fine. Flash exposure compensation ±3EV in 1/3EV increments. Recovery time of built-in flash unit Approx. 5s with fully charged battery. Self timer Delay time 2 or 12s. Connections Mini USB 2.0 socket, HDMI socket, special socket exclusively for external Leica EVF2 electronic viewfinder. Charger Input: 100 - 240V AC, 50/60Hz, automatic switching. Tripod thread A 1/4 DIN 4503 (1/4“). Dimensions (W x H x D) Approx. 133 x 73 x 95mm / 515/64 x 27/8 x 347/64in. Weight Approx. 594/628g / 22.9/24oz (without/with battery). This entry was posted in Leica X Vario. Bookmark the permalink. Trackbacks are closed, but you can post a comment.